2 Federal Census, MA, Norfolk County, 1930, Canton, E.D. 11-36, Sheet 5B, Image 10 of 56, Ancestry.com (Online Census Images). 3 Massachusetts, Marriage Index, 1901-1955 and 1966-1970, Marriage record for Stoddard Greenwood Spader and Jean Fraser, Ancestry.com (Online Database). 4 U.S., Social Security Applications and Claims Index, 1936-2007, Application for Jean Fraser, Ancestry.com (Online Database). 5 U.S., Social Security Death Index, 1935-2014, Death record for Jean F Spader, Ancestry.com (Online Database). 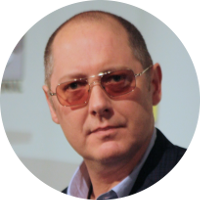 6 Wikipedia, "James Spader", (accessed 01/17/2016).